This is one of my newer cards and not a card stuck in the pile I'm trying to sift through. 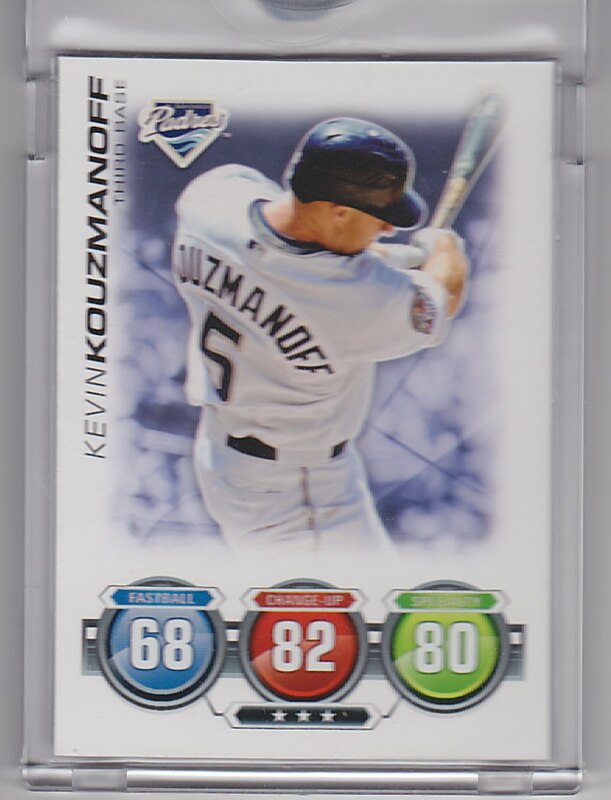 Topps Vault (ebay name: thetoppsvault) has a bunch of cards up for sale on eBay and I found this Kevin Kouzmanoff Topps Attax blank back 1/1, which by the way is not listed in Beckett so I can't add it to my collection. This is the box it came in, which certainly makes it feel like you're getting something from its vault. Side note: I don't have the base card, but I have the 1/1. Go figure. Having Topps sell their rare cards is an interesting aspect. For years, the trading card companies have seen the secondary market do well on the secondary market. So, the question becomes, how do they tap into it? Here it is. They hold on to the 1/1 and sells them on eBay. Topps Attax are cheap packs mostly made for children. So, instead of putting the rare cards, the 1/1 in them, Topps keeps them and sells one card for the price of roughly three packs of Topps Attax. 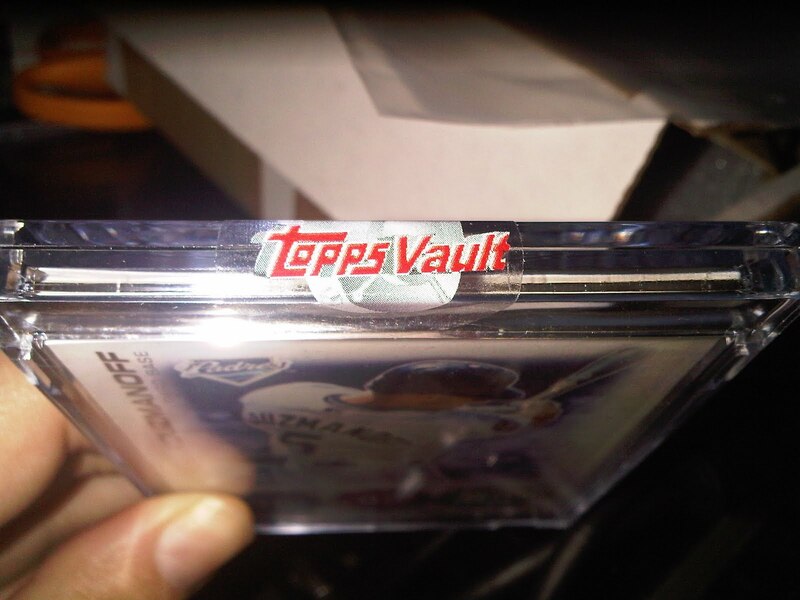 I really hate the fact that Topps sells these 1/1s ... just seems shady. So... they cheap out by not printing the backside, and they hornswoggle... what... $5 - $10 out of the purchaser because it's a "1/1?" Custom card makers should be able to rake in a fortune by only designing one side of their cards! And, I'm the sucker that buys it up. 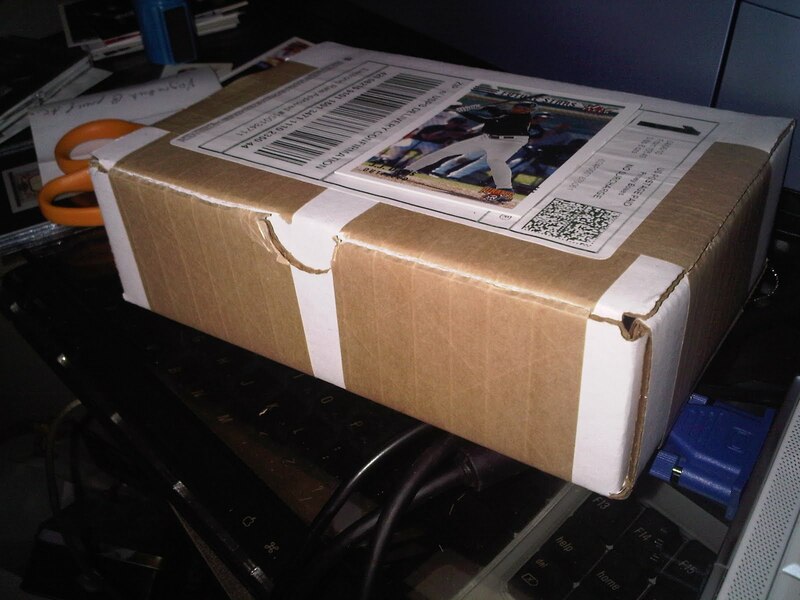 So...you pick up this Adam Lind 1/1 yet?